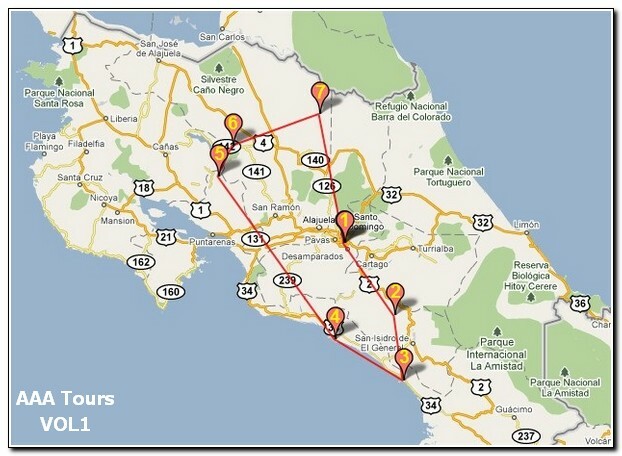 Cordillera de Talamanca, Savegre Biological Reserve, Uvita, La Cusinga, Manuel Antonio National Park area, Monteverde Cloud Forest, La Fortuna, Arenal Volcano, Boca Tapada, Maquenque National Park. An AAA Tours or hotel representative will be at the San Jose airport waiting for you to take you to your hotel. -(If you have an early flight you can travel to your first destination.) Please NOTE: If you have an early incoming flight and a late departing flight, you can actually get in an additional day of Tours! 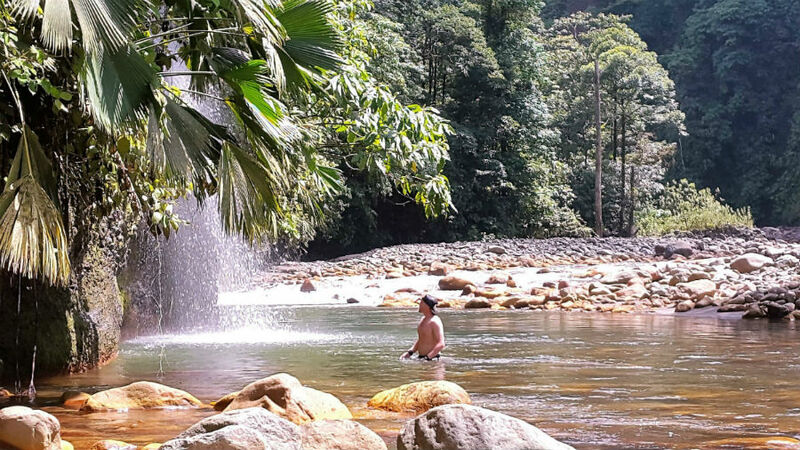 Day 2 Travel to Cordillera de Talamanca & hike the waterfall. You control what time to start EVERY Tour Day! 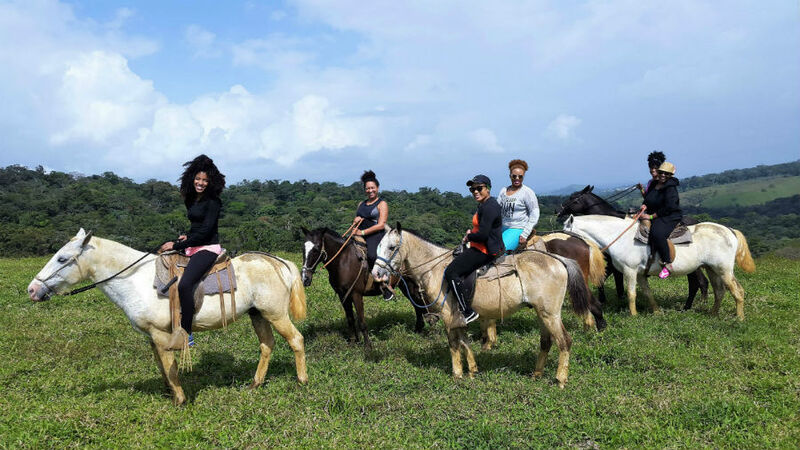 Cordillera de Talamanca is a mountain range that bounds Costa Rica and Panama together. The mountain range spans from San José to beyond the border into Panama. Much of the Cordillera de Talamanca is still to this day unexplored and untouched by modern man. 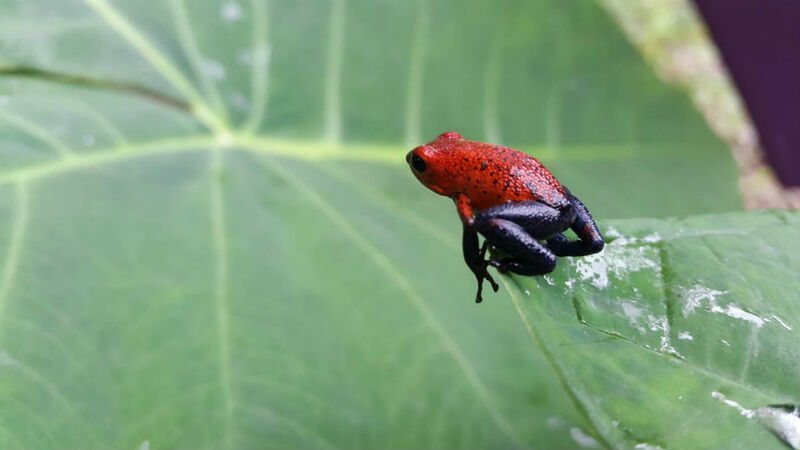 There are many frogs, insects, mammals, and well over 170 species of birds just waiting for you to be discovered in their natural environment. Savegre Biological Reserve: San Gerardo de Dota has an overabundance of birds and flora, it is often referred to as a ‘Shangri-la’ in the Talamanca Mountains. This area is the primary nesting site for the magnificent Quetzal, Costa Rica’s most famous bird. In this area you can spot the Quetzal almost any time of the year, but especially during their breeding season (April & May). This region is also known for its astonishing apple, peach and plum orchids. Uvita is located on the Pacific Coast of Costa Rica. 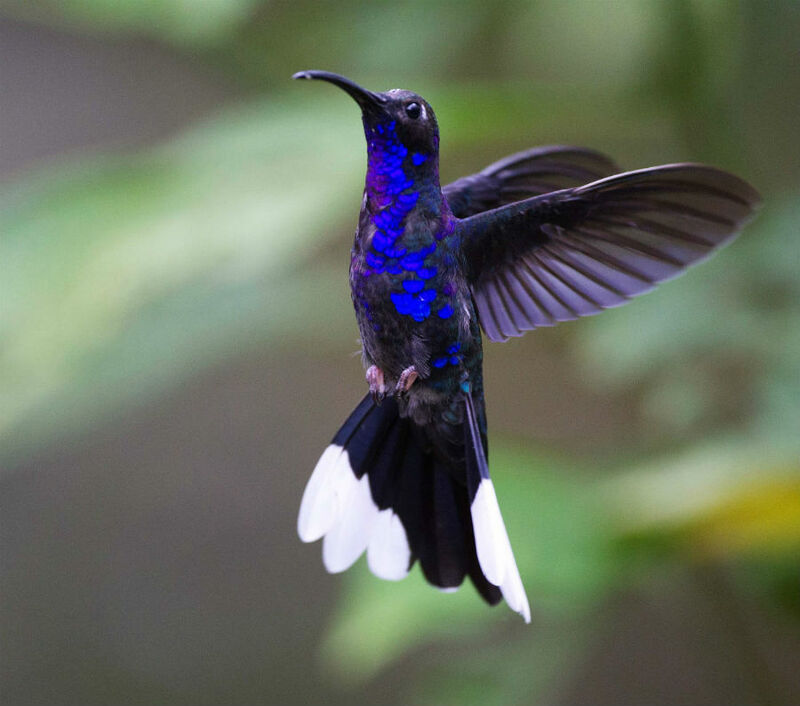 When visiting Uvita, you will have a fantastic opportunity to observe an endless amount of birds and wildlife. This area is surrounded by an impressive mountainous backdrop, luxuriant trees and thick mangrove swamps. Uvita Costa Rica is a postcard picture of fabulous sunsets and clear blue waters along the two mile stretch of shoreline! Open Afternoon: This afternoon is open … you get to choose what you want to do! 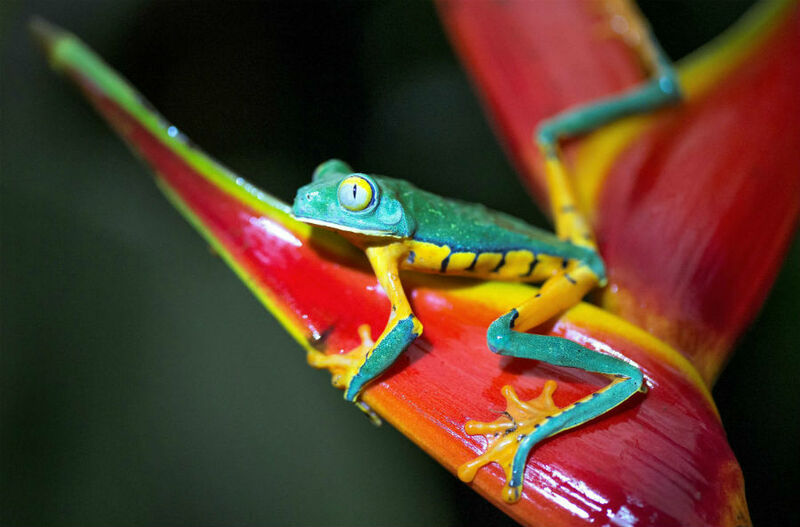 La Cusinga: See the extensive flora and fauna in the La Cusinga rain forest, located in Costa Rica’s southern Pacific coast. 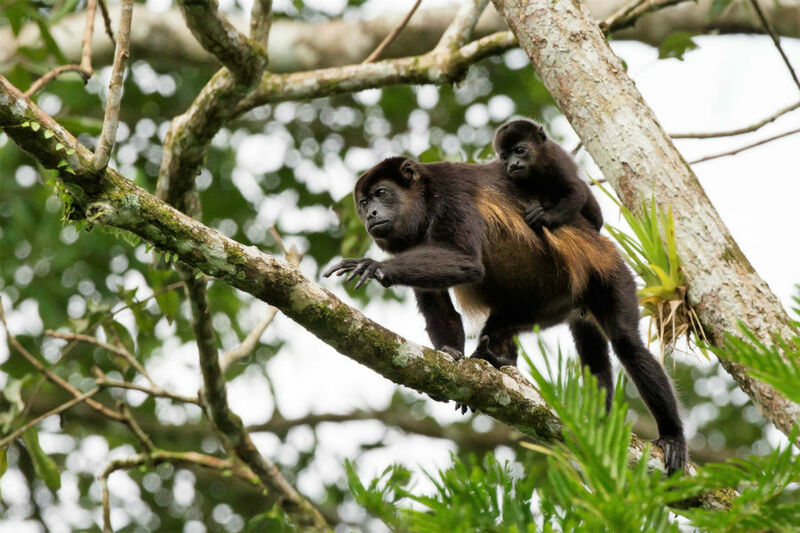 Wake up to a harmony of bird calls and howler monkey roars. You might also see coatimundis (raccoon-like mammals), red-backed howler monkeys, large agouti rodents, white-faced capuchin monkeys, turtles, bats, morpho butterflies, tree frogs, ospreys, parrots, parakeets, toucans, bottle-nosed dolphins, hawksbill turtles and the great humpback whale, to name a few! 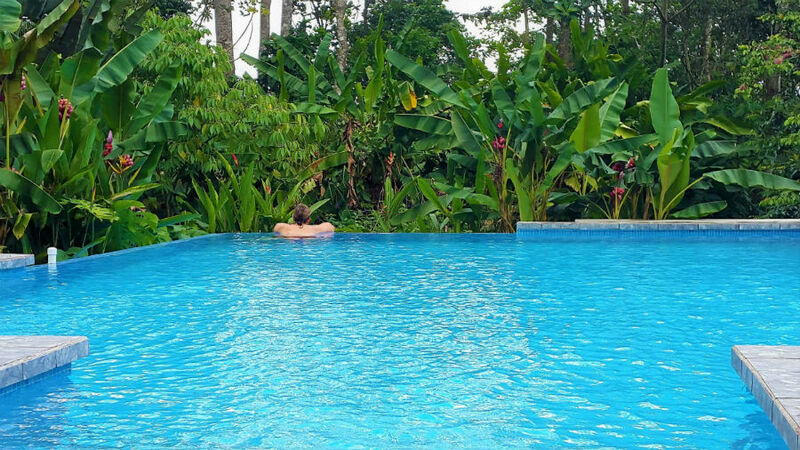 Manuel Antonio National Park: Located on the Pacific Coast of Costa Rica, this park is a beautiful mix of forest and beach which affords one the opportunity to swim and relax and also observe up close iguanas, capuchin monkeys, raccoons, tree sloths, coatis, etc. There a several trails in this park, one of which leads to a lookout point high above the ocean shore with beautiful views of the park below. 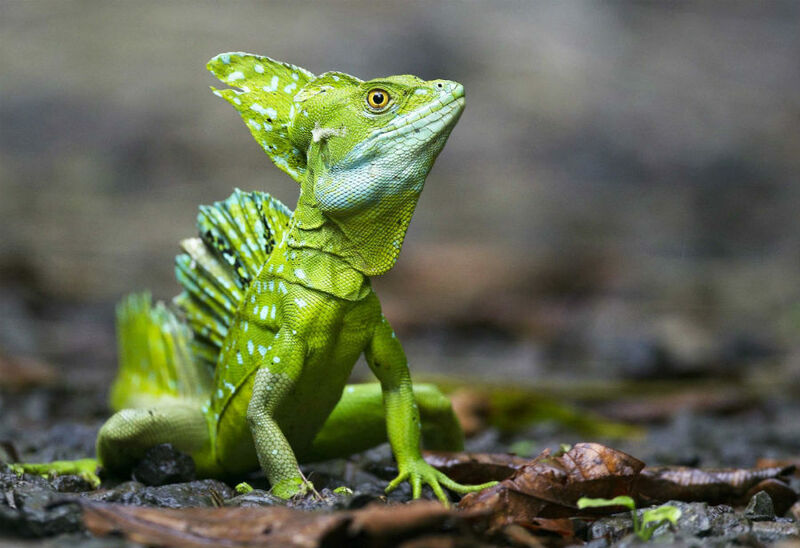 Monteverde area cloud forest reserve protects over 100 species of mammals, 400 species of birds and 1,200 species of amphibians and reptiles. Here you might be able to spot a jaguar, ocelot, puma, margay, oncilla and jaguarondi. 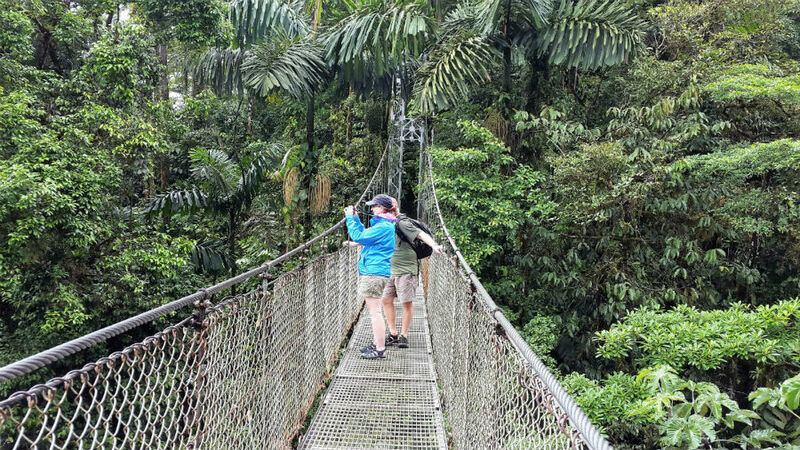 The reserve has trails for hiking and walking, and a guide will help you spot wildlife and teach you about the cloud forest. La Fortuna is a rural city located in San Carlos, in the province of Alajuela, Costa Rica. It’s location is approximately 6 miles from Arenal Volcano, which has been regularly spewing smoke, ash and occasional spitting out rocks. 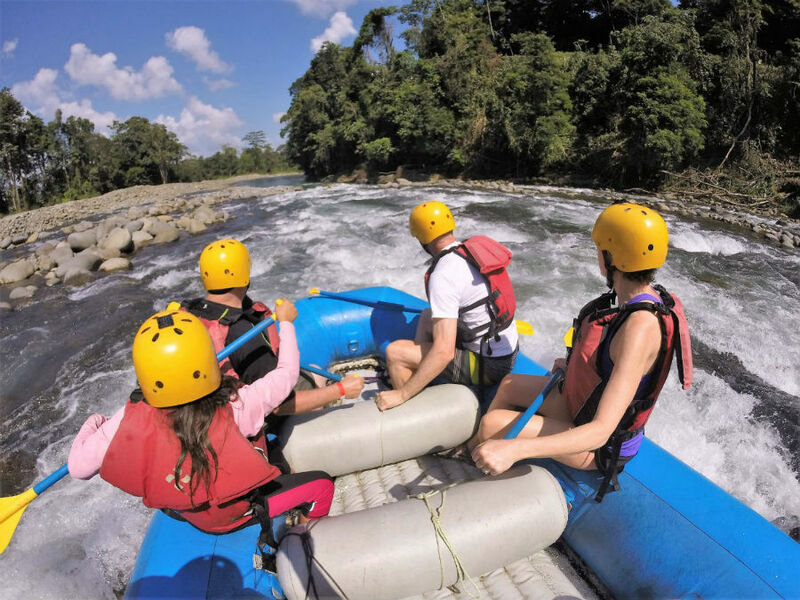 La Fortuna is the gateway to a magnificent waterfall that towers over 225 feet as well as other sites. 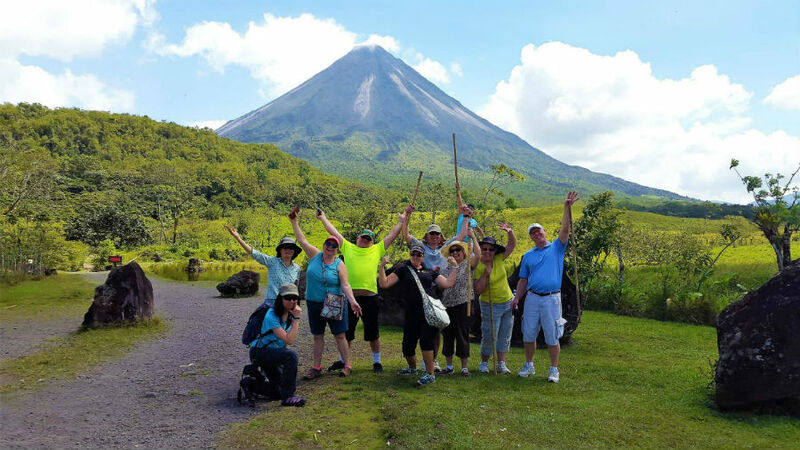 Arenal Volcano is located approximately 35 miles northwest of San José, in the province (state) of Alajuela, canton (county) of San Carlos, and district (town) of La Fortuna. The Arenal volcano measures about a mile wide. It is conically shaped with a crater spanning about 450 feet and is estimated to be less than 7,000 years. Here you will enjoy majestic views of this colossal giant and the surrounding areas. Almost daily you can see smoking cinders tumbling down from the crater. Boca Tapada is located between the town of Ciudad Quesada and the San Juan River. The area around Boca Tapada is a main nesting site of the Great Green Macaw, which is near extinction. Maquenque National Park covers over 148,000 acres is located between the San Carlos River and the Sarapiquí River. This area is a favorite nesting site of the Great Green Macaw. The macaws prefer this region due to the large amounts of almond trees, a main source of their diet that is located within the park. This morning you have the option to enjoy the view and relax, or take an optional tour before heading back towards the airport to spend your last night. Or if you have a late departing flight, spend another night to watch the birds in the early morning and then drive directly to the airport. Day 15 Fly back home after a awesome time in Costa Rica! Take a shuttle to the airport from your hotel at a time convenient to you.